Los Angeles, CA – The Board of Directors of the American Hellenic Council, the leading Greek-American advocacy organization in the Western United States, elected Dr. James Dimitriou of Redondo Beach, California, as their new President and Chairman of the Board on September 1st, 2018. 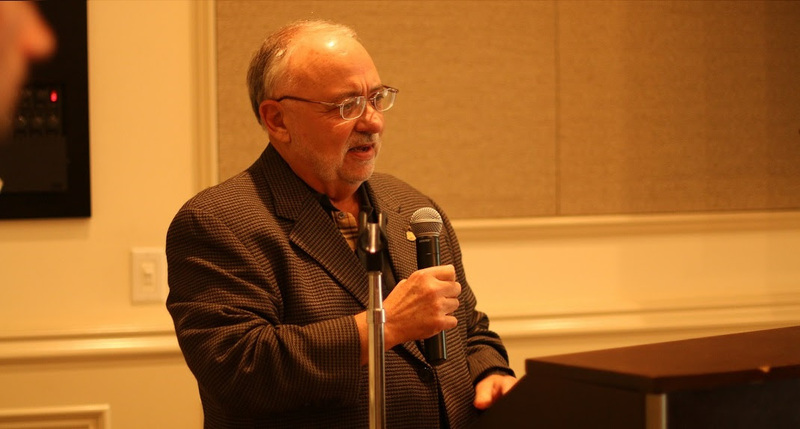 A noted educator and scholar, Dr. Dimitriou is a past Supreme President of AHEPA, as well as a founding member of the Save Cyprus Council (known today as the American Hellenic Council). Over the years, Dr. Dimitriou has played an active role in the community, serving as the former Director of the “Journey to Greece” program, National AHEPA Education Chairman, as well as the Chairman of the Cyprus & Hellenic Affairs Committee. In 2004, Dr. Dimitriou was named to the Order of Saint Andrew of the Ecumenical Patriarchate. He is also a co-founder and current Board member of the Greek Heritage Society, as well as an active Board member of the Hellenic Society of Constantinople, and longtime President of the Marmara Society. Dr. Dimitriou’s election marks the beginning of a new era for the American Hellenic Council. “The Council couldn’t be in better hands”, said outgoing President Menas Kafatos. “There are a host of issues facing the Hellenic communities in Greece and Cyprus, as well as here in the United States. The American Hellenic Council will continue being an important agent for innovation, continuity, as well as supporting and protecting the traditions that bind us together. Many of us in the arts, the sciences, the humanities, in academia, the commercial sector, religious traditions, as well as all Hellenic communities, will continue our support for tradition, the rule of law, and our rich history”. Dr. Menas Kafatos, who is the co-author of the New York Times bestselling book “You are the Universe”, went on to say, “In my travels, book signings and lectures, I am amazed about the resilience of the Hellenic spirit. I have been honored and blessed to be the President and Chairman of the AHC Board for the past five years. The AHC was founded in 1974, initially under a different name. It will continue to exist because it fulfills vital roles and is popular with the community. I am sure that Jim’s leadership skills and integrity will energize our members and allow the Council to continue playing a significant role in advocating for the issues most important to the Hellenic-American community”.